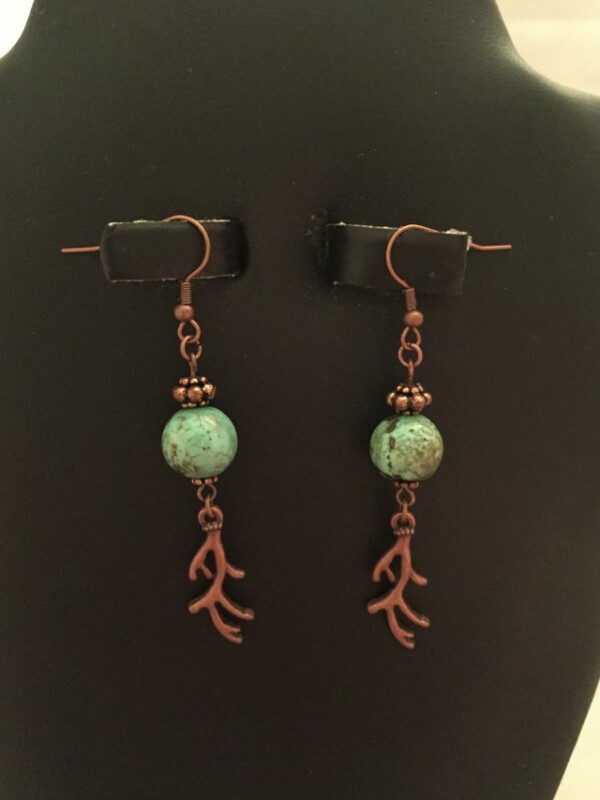 I found these amazing copper antlers and felt like turquoise would be their best partner. 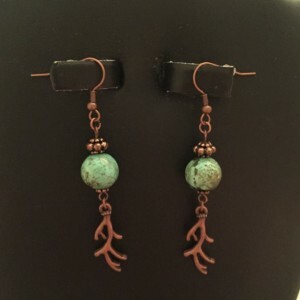 The stone is a stabilized turquoise and it has many intricate "imperfections", which actually just makes them far more interesting and gorgeous! The findings complement this absolutely stunning stone, and they are all real copper. I am by no means a hunter or anything, but I find all living things beautiful and fascinating, and it brings me back to hiking and seeing shed antlers in the woods. I really love how this piece looks and makes me feel, and I want someone to enjoy it as much as I do!